After putting away all of my holiday decor, my front door was looking pretty dreary. I wanted something wintry, but wasn’t sure exactly what I wanted to make. I purchased some faux fur in December planning on using it for a Christmas project, but that didn’t happen. Rather than packing it away, I kept it out thinking I might find a different project for it. 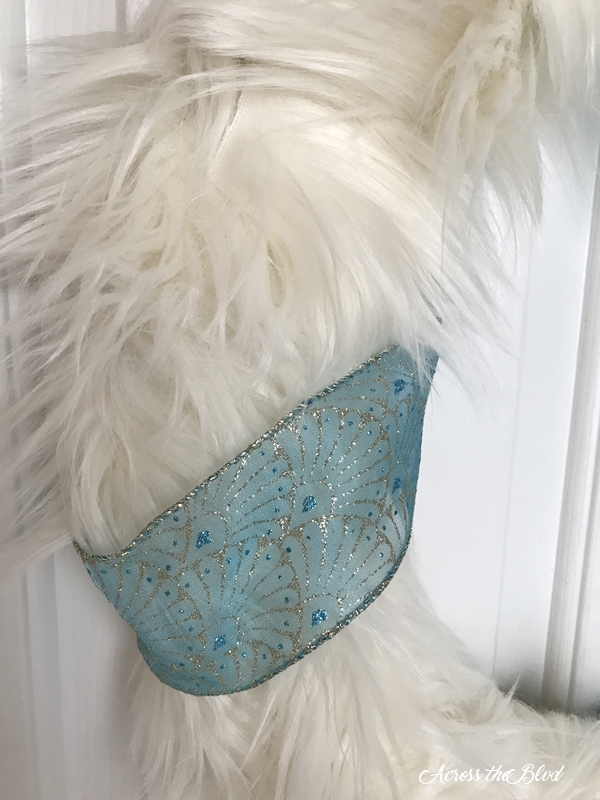 Once I decided to make a winter wreath, I knew the fur would be perfect for it. 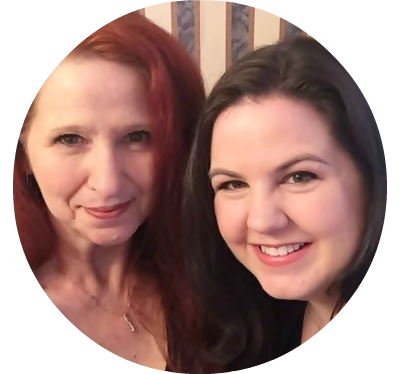 I’ve been procrastinating a little bit with getting back into blogging mode. After all of the craftiness from September through December, once January rolls around, it’s kind of hard for me to find a lot of motivation. But, looking at a blank front door for days gave me the motivation I needed. 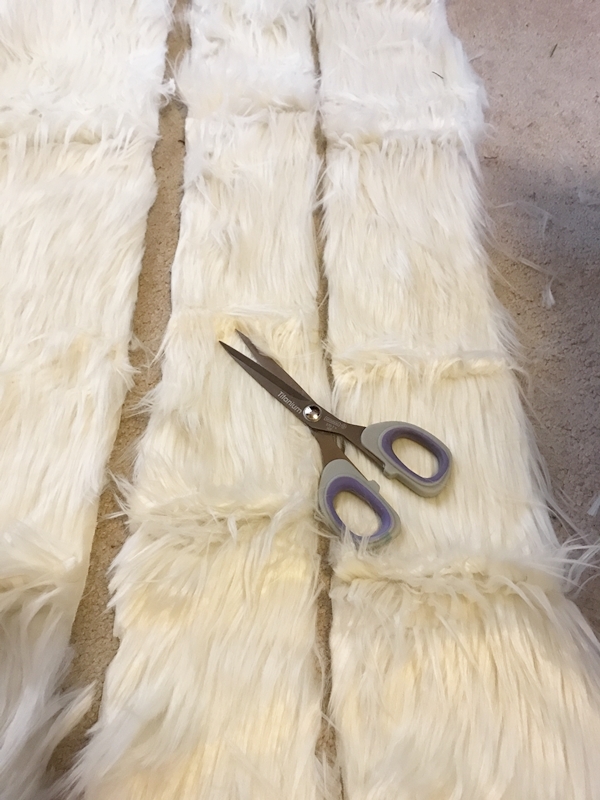 I started by cutting the fabric into strips about four inches wide each. I already had a wire wreath form on hand which is a good size for this wreath. 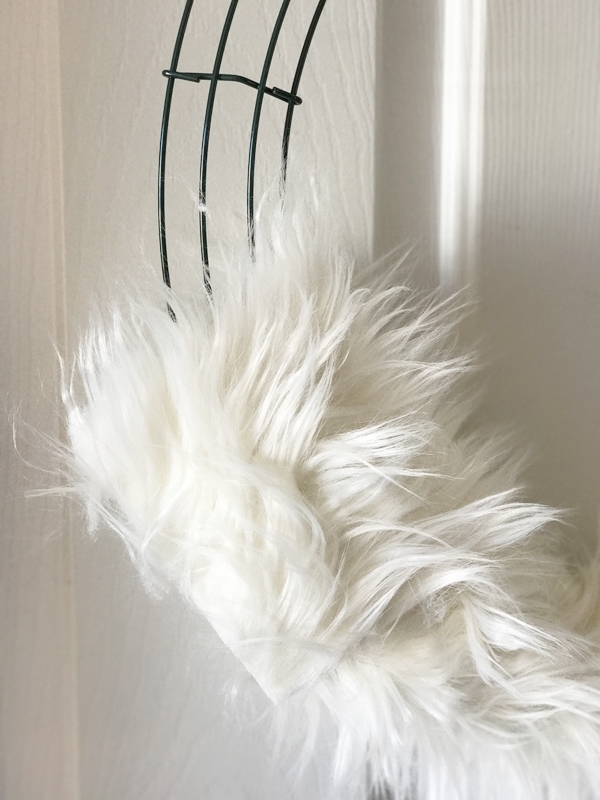 I began by just tucking one strip of the faux fur between the wire of the wreath. I wrapped it snugly around the wreath form, overlapping it as I worked my way around the form. I continued wrapping it around the wreath form until it was fully covered. I used just a little hot glue to keep the last strip in place. 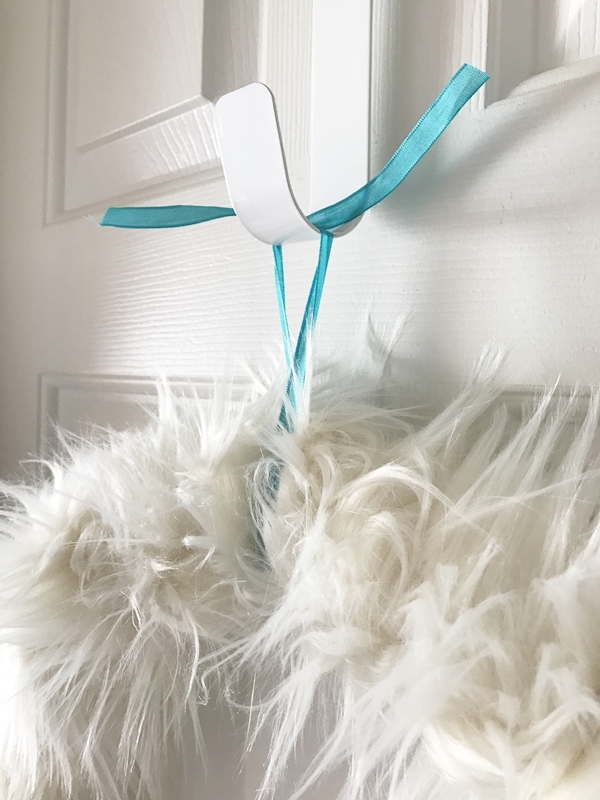 Once it was fully wrapped, I added a small piece of ribbon to use as a hanger. 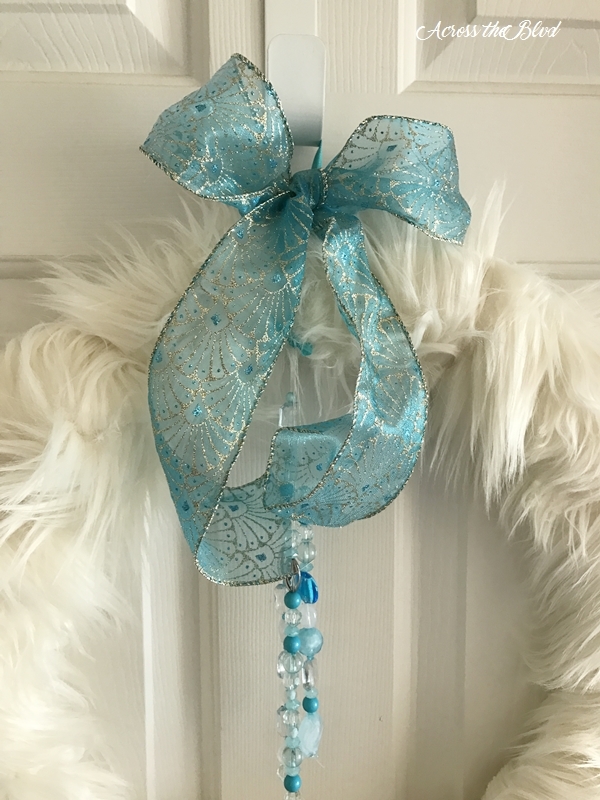 Using some pretty wired ribbon in blue and silver, I tied off a bow around the small piece of ribbon. To add more interest to the wreath I used stretch cord and some blue beads. I made three strands of beads. 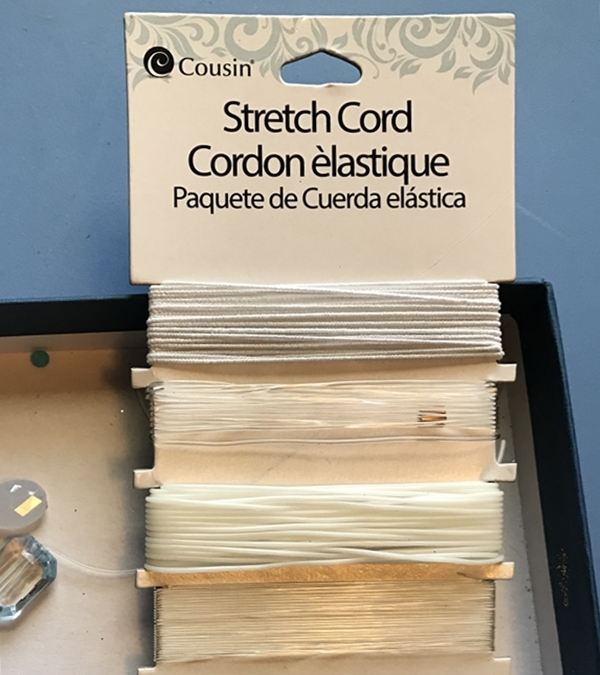 To keep them in place, I tied a knot on each end of the cord. I also placed a dot of hot glue over the knot. I slipped the cords underneath the small blue ribbon that is used for hanging the wreath. I looped the cords through and tied them off. I love the blue and silver ribbon for a winter look. I cut three strips of ribbon and placed them around the wreath. I decided to use pins to secure them rather than glue. It will be easy to change up the look of the wreath this way. I love how the white and blue look against my black front door. It’s a great combination of colors that looks perfect for winter. I don’t think the faux fur would hold up well if it rains. Unfortunately I don’t have a covered door, so I’ll have to be sure to bring it indoors when there is a chance of rain. It looks nice an inside door, too. 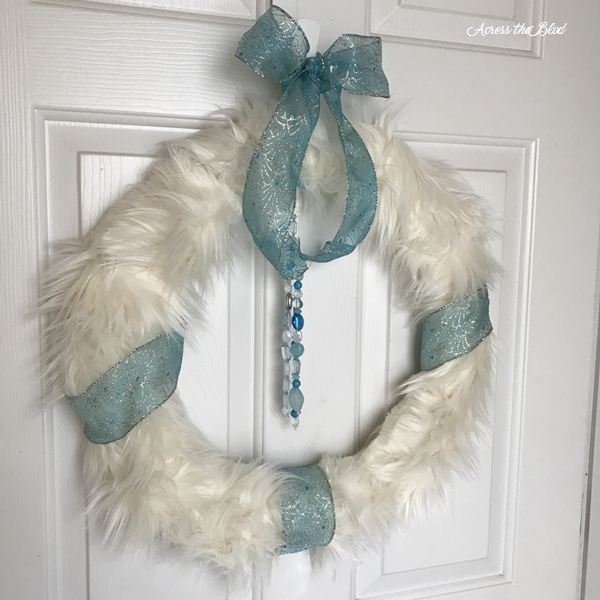 Decorating for winter is not something that I do a lot of, but having a wintry wreath is a simple way to add a little winter decor until it’s time to bring out Valentine’s Day decor. Do you do much decorating after the holidays? We’ll be sharing a lots of these great parties! How fun! 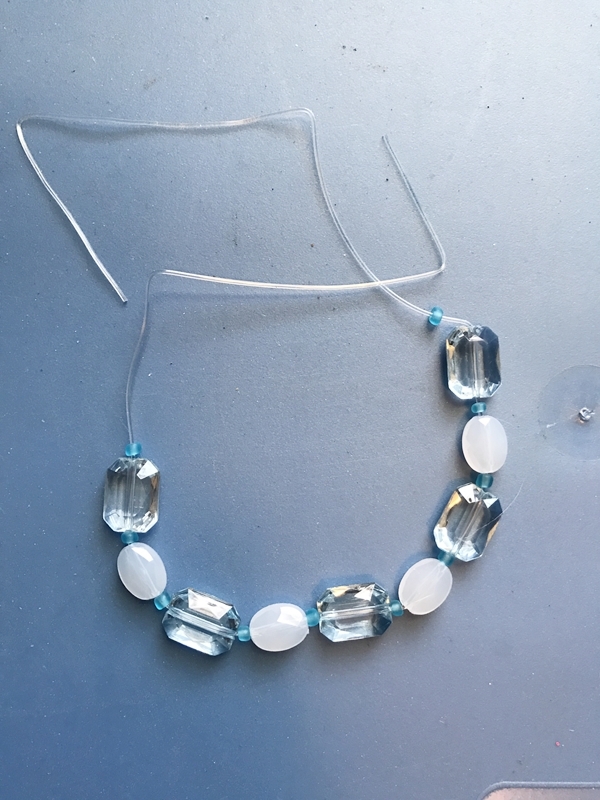 Of course my granddaughters would think this is all about Frozen, but I like it just for it’s elegance, and it is so easy to make! Thank you so much for sharing at Celebrate Your Story! 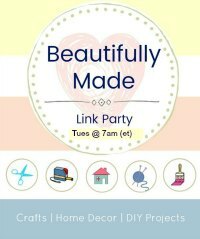 I am pinning to my crafty board! Thanks so much, Chloe. My grandchildren would think the same thing! Thanks for the party and the pin. 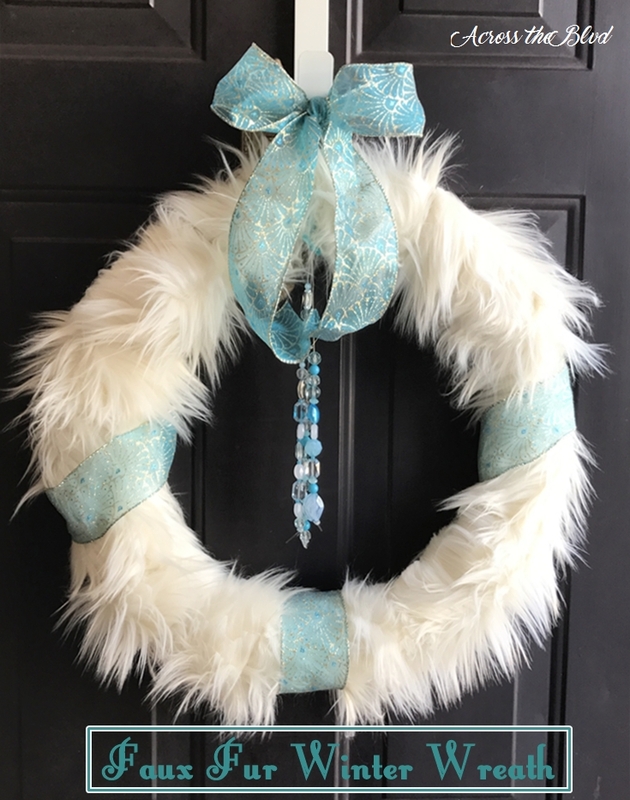 Beverly, I love the faux fur on a wreath! 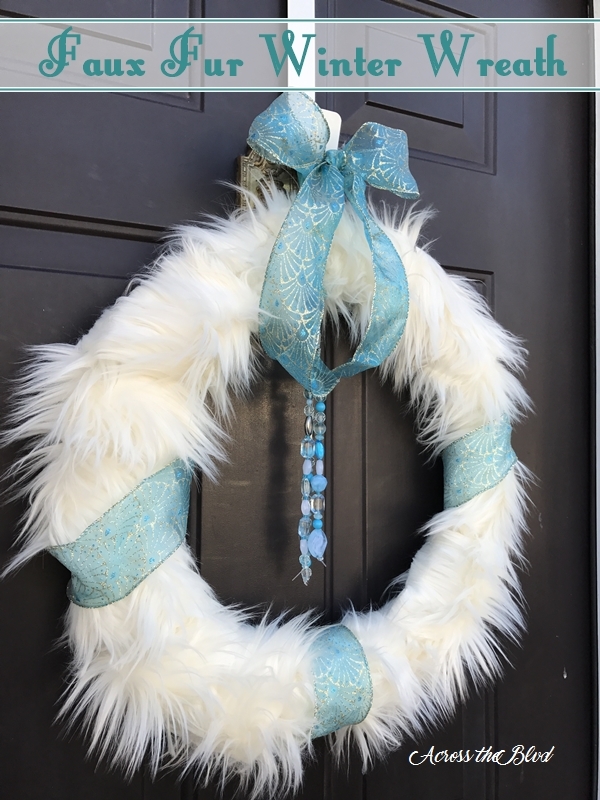 What a beautiful winter wreath this makes and it looks fabulous on your door! You’ll be featured next week on Brag About It! Thanks for sharing. Thanks, Laurie! It was another easy to make wreath. Thanks so much for the feature! I appreciate it! 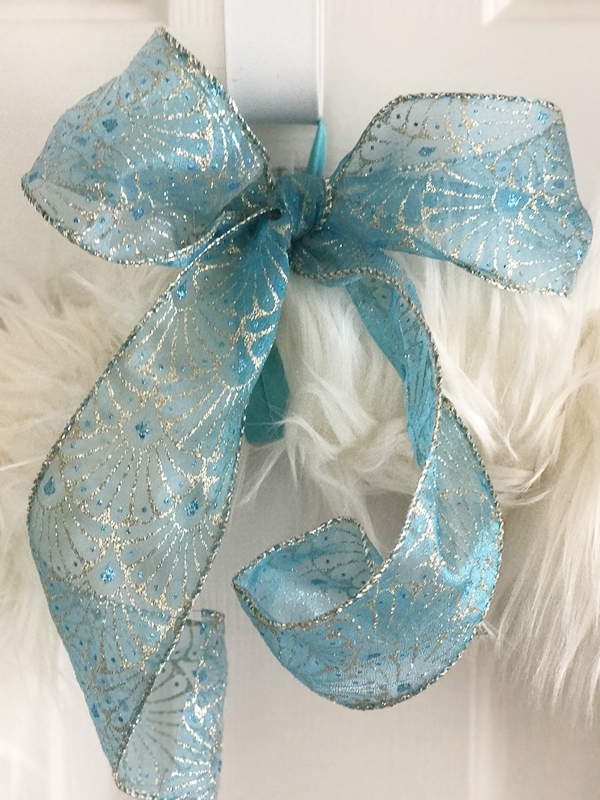 How much faux fur do you need …what size is the wreath form? I think its adorable and im 65!!! I bought a yard and had lots of it left over. You need enough 4″ strips to overlap a little and wrap around an 18″ wreath form. Thanks, Victoria. Thank you for hosting each week, Helen. I hope you have a great week. What an adorable way to use faux fur in the winter. And I bet if you save it, you can turn it into a fun Halloween monster wreath, too! Thank you, Leslie! That’s a great idea. I’ll have to keep that in mind for Halloween. Thanks, Melissa. I love that ribbon, too. What a fun idea for an Easter wreath. I hadn’t thought of that. I love your wreath, Beverly. The colors and the faux fur make it perfect for winter! Thanks for sharing at Funtastic Friday. 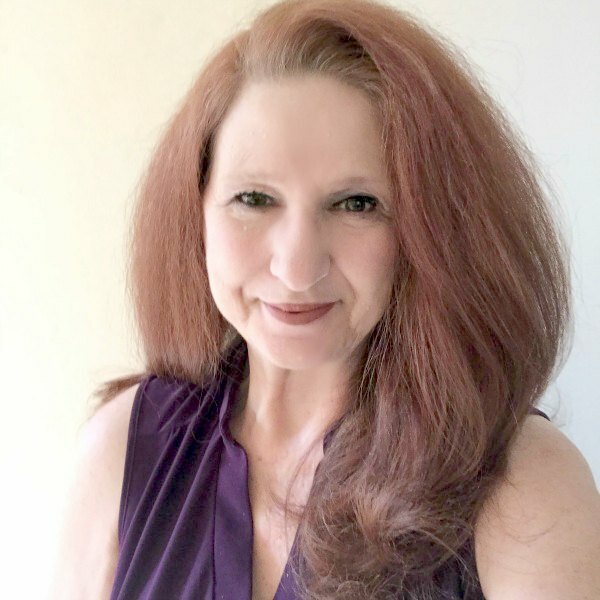 Thank you, Donna! I’m enjoying it even though we aren’t having anything like winter weather here! Thanks for the party! Beverly, this wreath is beautiful!! 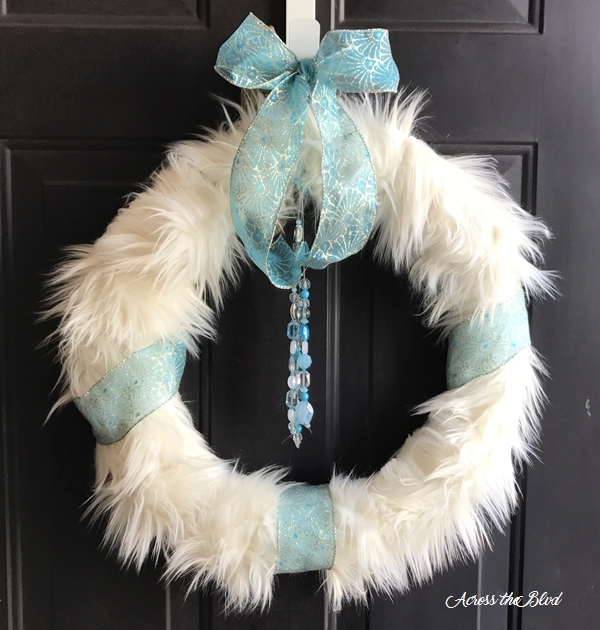 What a great idea to use faux fur to make this winter wreath! You did a wonderful job on this! Thanks, Keri! Since I didn’t use the faux fur for a Christmas project as planned, it was a good way to use it. Aww! What a cute idea! Thanks! Thanks for the party, too! Thank you, Emily. Thanks for hosting Merry Monday. I like this! I just put my spring basket back on my door, but I seriously need to use something a bit more wintery. Thanks, Nikki! It’s a good transition wreath to use between Christmas and Valentine’s Day. Beautiful wreath and a great tutorial. This year I was stumped as to what to put on the door after Christmas so there is still nothing there. What a great idea this was. Thank you, Clearissa! It’s always tricky to slide into winter decor after having lots of Christmas decor up. Thanks so much for the visit and the shares. I appreciate the party each month, Clearissa.